I suffer from depression. From suicidal depression at times. Officially, I’m diagnosed with bipolar disorder. Since my diagnosis, I’ve been on medication, which helps. But last year, before my diagnosis, things got dark—real dark. I ended up hospitalized for three days in the behavioral medicine ward. Recently, I self-published a collection of short stories on Amazon—on the Kindle format. I wrote three of the stories in this collection at the height of my suicidal depression. Those stories still haunt me, and they haunt several people who’ve read them. Since mental illness and suicide are close to my heart, I’ve decided to donate half of all proceeds generated from sales from my ebook, starting today and running through the month of September, to suicide prevention charities. If it’s successful, and if I can raise a decent amount of money, I’ll continue to do it. This book isn’t just about me, or helping myself—it’s also about making money to donate to charity. If you can, and if you’re interested, will you help me spread the word? 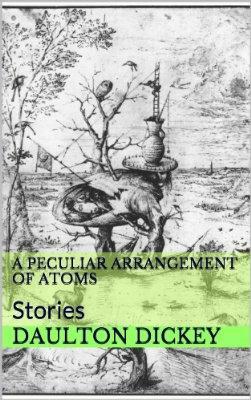 ← A Peculiar Arrangement of Atoms: Stories–out now!